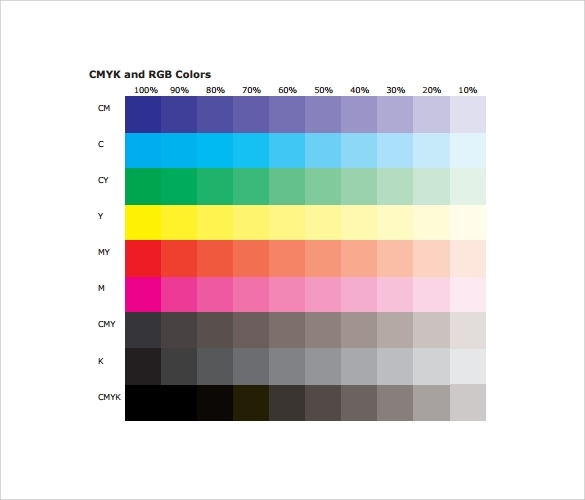 The CMYK refers to cyan magenta yellow black and a color wheel chart template of this form shows the colors and sometimes even includes percentage of different colors for a certain range of widely used hues. 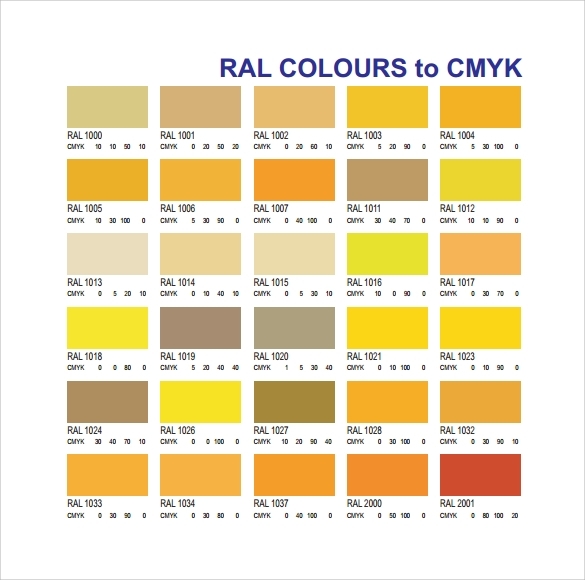 If you are in paint business, an artist or even a website builder CMYK color chart , PMS Color Chart Templates can help you greatly in understanding the knowledge of mixing colors in proper proportion for obtaining a certain color. This template illustrates all shades placed under the CMYK color setting. The shades range from 0-100% of each color and each shade is depicted clearly for distinction. A good print quality ensures that the template is helpful while choosing color ratios for a project. The template here offers the primary colors of CMYK arrangement followed by various combinations of all four colors set in different percentages forming a unique hue. Each combination is easily distinguished even on printing the template. It serves the purpose of identifying basic color ratios. As the name suggest, this template is presented as a color wheel with each shade assigned with a number. 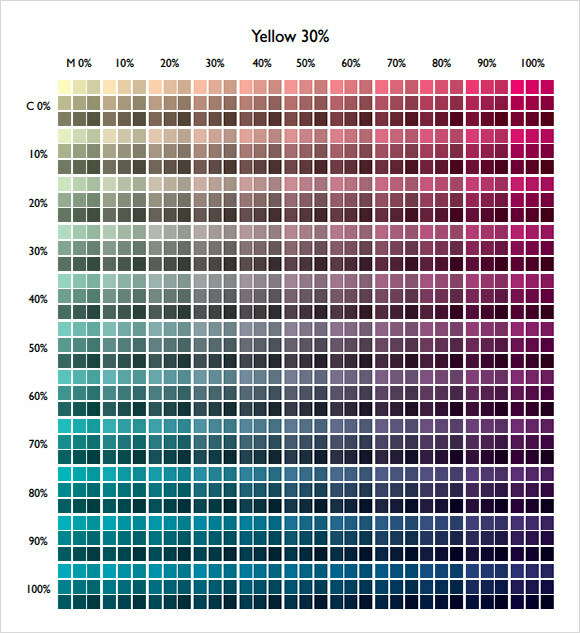 The shades originate from the lightest shade of yellow and ends with the darkest shade of Cyan. 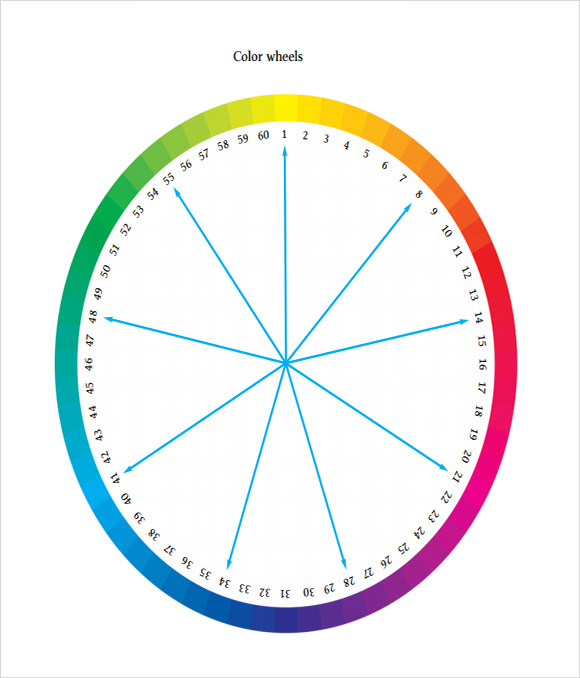 This wheel helps select the basic shades that can be used in further mixtures. 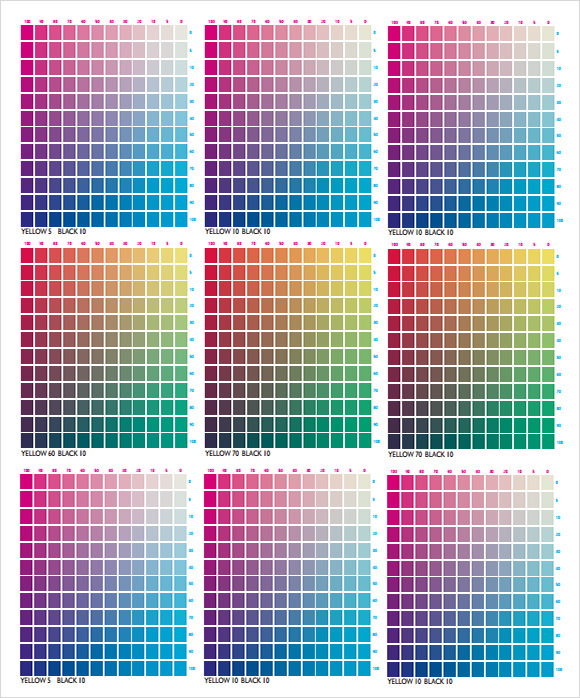 Who can use the CMYK Color Chart Template? Creativity is restricted to none, we all enjoy intermixing different colors, bringing about shades just like grains of sand in a dessert. 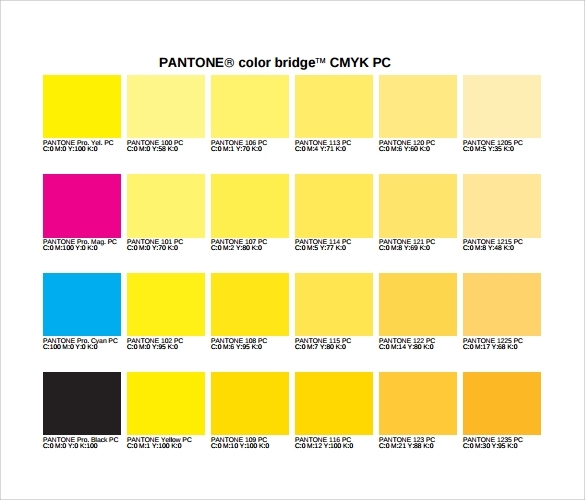 However, artists, designers, website developers and other professionals working around colors can make great use of the CMYK Color Chart template. Amateur painters too can use this template while choosing the best combination of colors to create a fine work of art. Painting instructors use this to explain the different percentages of hues of a color and ratios of each shade to make up a combination. Website designer can use this template to choose the best shade to adorn the web page background, graphics, captions and other features.You can also see Sample Stool Color Charts. 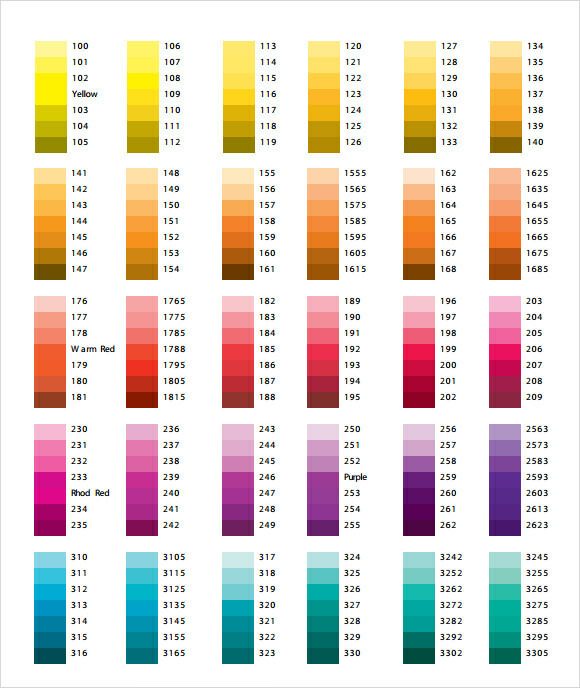 How to use the CMYK Color Chart Template? This template is used for getting in terms with CMYK color arrangement and the concept of shade percentage and color combinations. For all of the above, you need to download a relevant template, be it a tabulated arrangement of each shade or a color wheel, each of these are available online and are print ready. This template ensures that you do not get deluded into similarity of two shades, for this each shade has been assigned a name or ID and every combination enlists the ratio of each color put into it. So save and print the template, if required, to explore unknown hues. 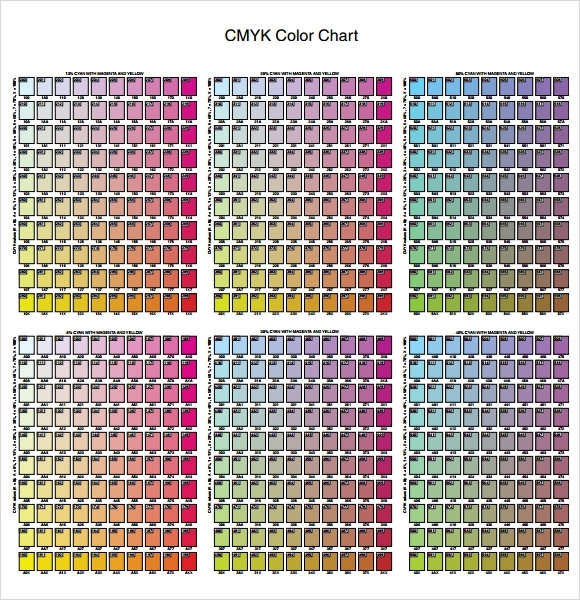 What are the benefits of using a CMYK Color Chart Template? The template is basically a neat, well described and precise presentation of all shades of the primary colors making up the CMYK color pattern. To ease your search, each of the shade bears an identification number and ratio of hues used to create a color combination. The print version is as clear as its digital counterpart. The PDF document type template is useful to many as it offers a gist of all possible combinations that can be used to color a drawing, apparel design, wallpaper and website page. 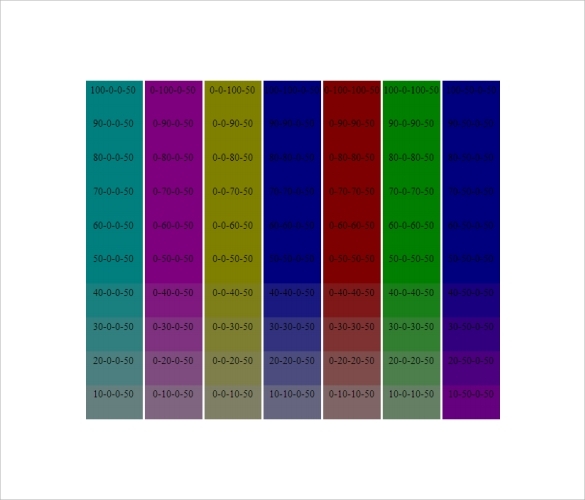 Several online graphics or images are used only after confirming its CMYK color property using this template for reference.You can also see PMS Color Chart Templates. You can download a CMYK template that does or does not include the proportion of different colors used and add it to brochures, flyers, use them for own reference or even attach them in emails for your client to choose from the widely used color chart.